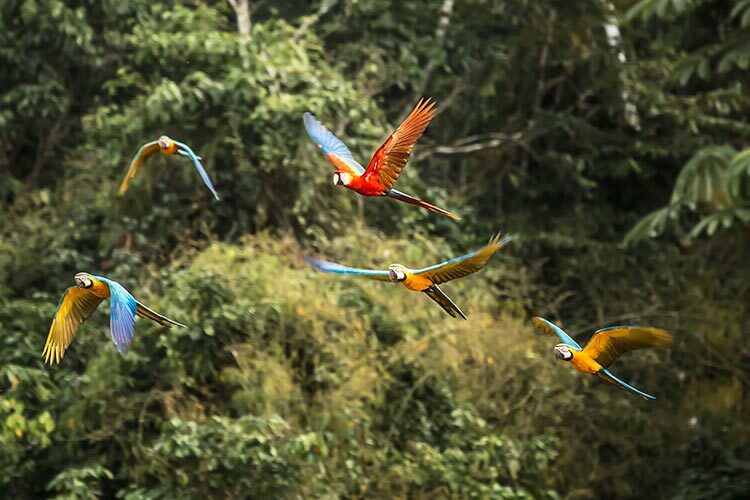 Whether you’re cruising the Amazon Rainforest on a private Amazon tour or trekking through misty cloud forest near Machu Picchu, Peru’s tropical forests are home to a wealth of bird species you’ll want to capture on film. To get the shot, however, you’ll need more than a good DSLR camera. With dense foliage and unpredictable light, rainforests are notoriously some of the most difficult places on the planet to photograph birds. 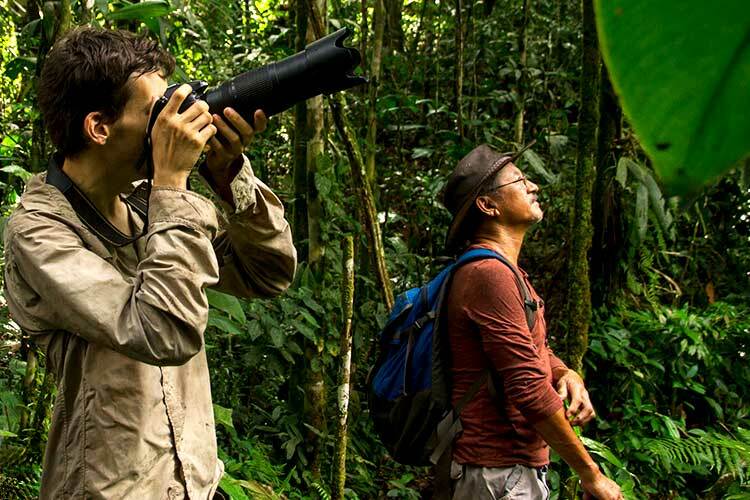 In this article, we share four tips for photographing birds in the rainforest so that your luxury Peru holiday is one you can relive again and again through your photos. Tip #1: Know your camera’s settings. As any photographer will tell you, understanding the relationship between aperture, shutter speed, and ISO is step one to getting the shot. In the jungle, conditions change quickly, so it’s important to know when and what setting to adjust on the fly. Generally, jungle conditions call for high ISO levels and a mid-range aperture (ideally f/5.6 to f/8). These settings will allow for a faster shutter speed. Get the balance just right and you’ll end up with a sharp and in-focus image of the bird frozen in motion. Tip #2: Know when (and when not) to use a tripod. Chances are you won’t be using a tripod on your private Amazon holiday, as by the time you have it set up, the bird will have flown away. Unless you’re shooting a roosting bird, plan to get creative with how you stabilize your camera. Of course, make sure you have the image stabilization feature turned on as soon as you decide to shoot free-hand, but you can also use the natural environment to steady your hand. Lean on a tree or make use of the branches to counteract any unwanted movement. Tip #3: Take advantage of cloudy or drizzly weather. 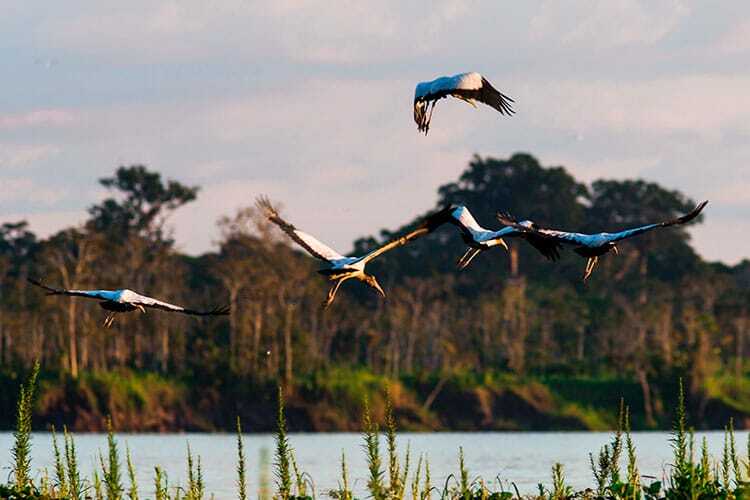 Cloudy, drizzly days are what your dream Amazon vacation is made of if photographing birds is at the top of your must-do list. 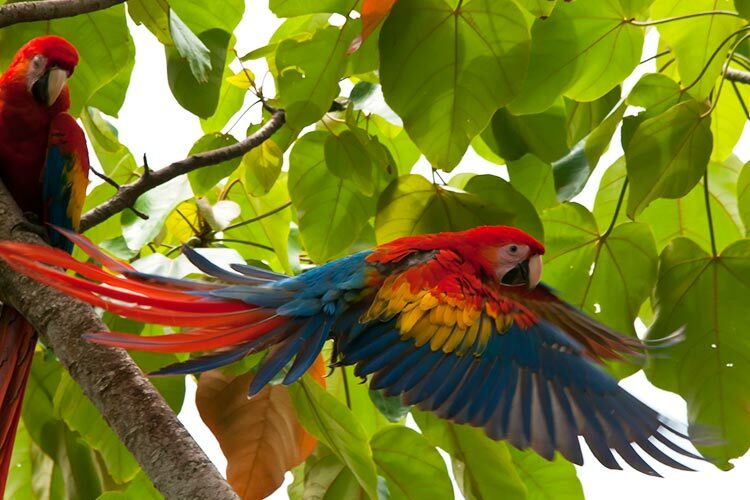 While some birds are most active in the early morning and late in the day, normal photography rules don’t typically apply in the rainforest. Instead, clouds with a little drizzle make for conditions that not only guarantee bird activity, but also present you with excellent lighting for shooting. Just be prepared to bring the proper rain protection for yourself and your camera. Tip #4: Beeline it for the fruiting trees. This tip is as close it gets to staging your shot. The fruiting trees are the only sure thing when it comes to successful bird photography in the rainforest. Ask your private Amazon tour guide what types of fruit various birds like to eat and then set yourself and your camera up near those trees. 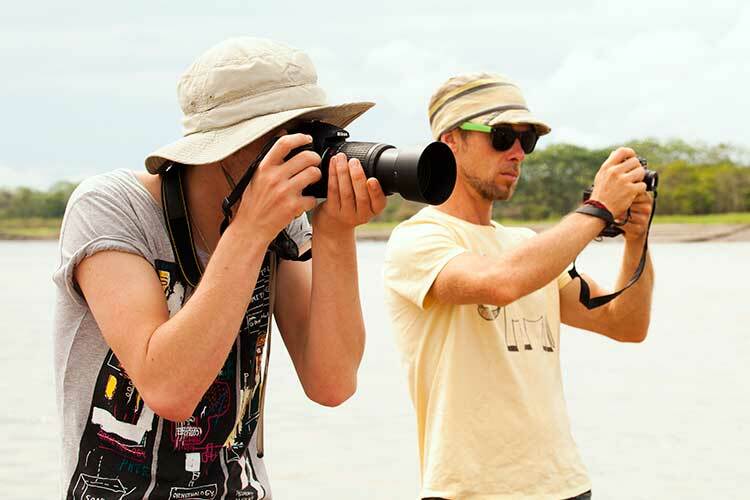 This should result in more than a few quality images worth framing after your luxury Peru vacation comes to an end. Are you an avid photographer? Our Kuoda Travel Designers take into account your passions and hobbies when putting together your perfect custom Peru vacation. The experiences that fill your personalized Peru itinerary will make your trip to Peru entirely unique from any other travelers, whether bird photography in the Amazon is a part of it or not.